With over 30 years of experience, Brilowski Family Dentistry is dedicated to providing gentle dental care to patients of all ages. We strive to offer uncompromising service and incomparable excellence in cosmetic, preventative and restorative dentistry. With every office visit, our hospitable staff aims to provide a pleasant and enjoyable experience to new and existing patients alike. Along with the assistance of advanced dental technology and equipment, we take great pride in the quality of treatment that we provide, sure to help patients achieve a more attractive smile and optimal oral health. Dr. David Brilowski received his Doctorate of Dental Surgery (D.D.S.) from Marquette University in 1985, following his studies at the University of Wisconsin-Stevens Point. After graduating from Marquette University, Dr. Brilowski worked in several dental practices across Wisconsin, including Smileage (Forward Dental). In 1996, Dr. Brilowski acquired his first practice, located in Palmyra and then proceeded to open his second office in Brookfield in 1997. Today, Dr. Brilowski still practices and sees patients regularly at our Brookfield location. As an active practitioner, Dr. Brilowski belongs to the American Dental Association (ADA), Wisconsin Dental Association (WDA), Waukesha County Dental Association, and regularly attends national seminars and conferences to further his education and stay on the forefront of new trends and dental procedures. A Wisconsin native, Dr. Brilowski grew up in Stevens Point and now calls Waukesha home. His wife Pam, also a Marquette University graduate (Dental Hygience ’84), also practices dental hygiene at Brilowski Family Dentistry and together they are the proud parents of three children and one son-in-law, Brianna, Ryan, Brett and Brock. As the manager and receptionist, Jill has over 35 years of experience - working as a dental assistant and overseeing logistics in the front office. 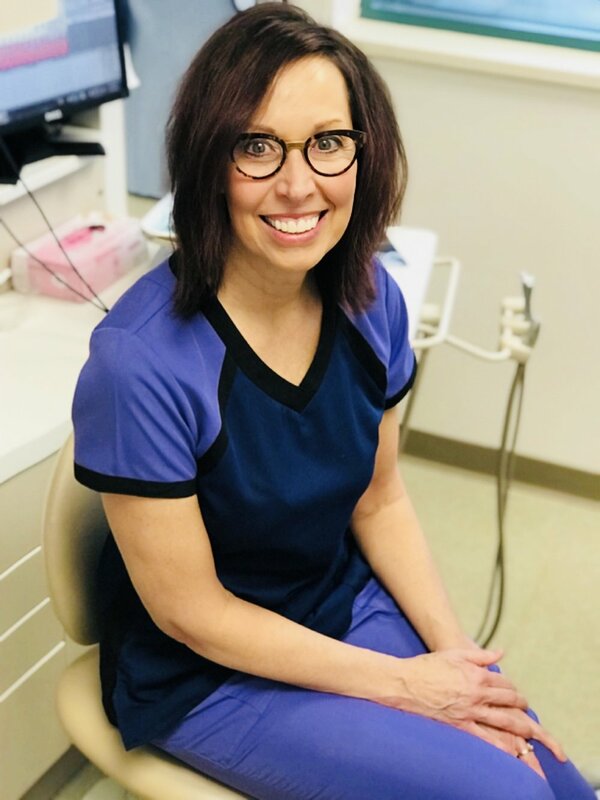 After 20 years with Brilowski Family Dentistry, Jill is most appreciative of the relationships that she’s established with all of our wonderful patients. She understands that dental procedures and coverage can sometimes leave patients feeling confused, so she’s happy to help them understand every detail of services and insurance policies. "I absolutely love working with Dr. Brilowski - he listens, is incredibly gentle, never in a rush and sets total patient care as a top priority," Allison says. As a dental assistant, Allison is there not to only to support Dr. Brilowski, she makes every effort to put patients first. Allison realizes that often, a visit to the dentist can be worrisome for some patients. She truly gets to know her patients, in effort to put any worries at ease. By going above and beyond her title as dental assistant, Allison creates a relaxed environment and enjoyable experience, while providing exceptional care to patients. Allison is married with four children and recently received a new title - grandmother. With over 35 years of experience, Colleen loves treating patients - new and old. 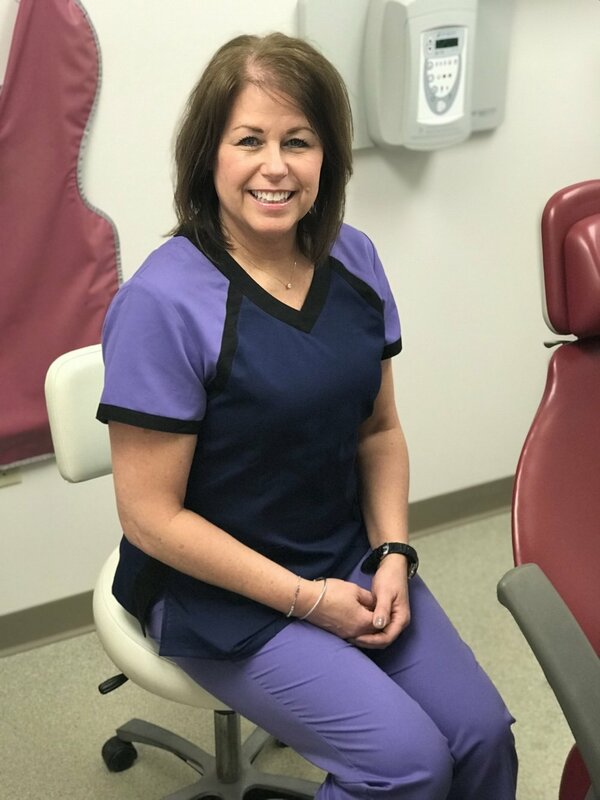 As a practicing dental hygienist, Colleen enjoys seeing patients who have become friends over the years, and looks forward to treating new patients for the first time. She looks forward to getting to know her patients and helping them to achieve optimal dental health. Colleen has known Pam and Dave Brilowski for over 30 years - both she and Pam started their dental hygiene careers at the same Milwaukee-based dental practice. Colleen is married to Scott, who also works in a dental-related field and together they have two children, Caleen and Jake. "With every visit I'm awarded to opportunity to improve my patients' dental health, while getting to know those I serve," says Pam. "It's important to not only treat our patients, but to help educate them, as well - our dental health is the starting point for achieving great overall health." It's no surprise Pam loves to help patients become more informed and educated on their oral health, she served as Waukesha County Technical College's dental hygiene program director and faculty member for over 20 years. Additionally, Pam has also served locally as an advocate for low-income, child and family oral health, and abroad has helped to aid dental mission trips to Guatemala. Pam is also as a co-owner of Milwaukee's Sweet Tooth, she enjoys to bake for the bakery and in her free time - always remembering to brush after every delicious treat! Pam is married to Dr. Brilowski and together they have three children, Brianna, Brett and Brock, and a new son-in-law, Ryan.